Product information "Sunwood Conservatory Ridge"
Retro-fitted to existing timber, Sunwood can encase and seal problem leak areas while also breathing a new lease of life into the roof. 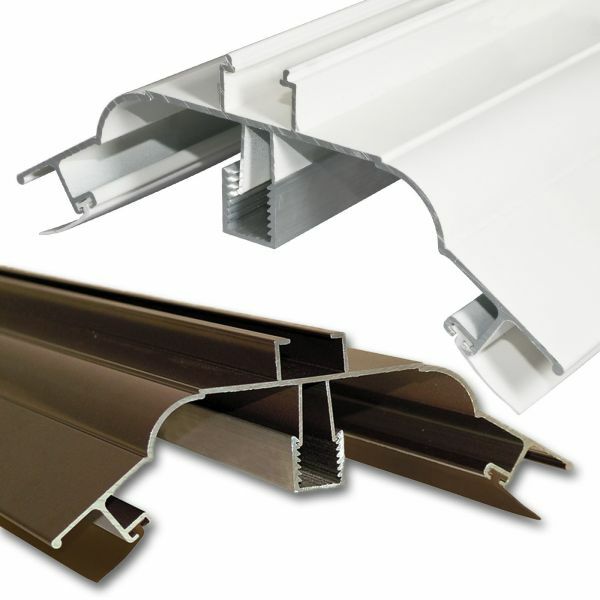 It is equally effective on new instalations too, offering an attractive, low-maintenance, long-life capping solution. Includes aluminium Ridge Base and Ridge Top, which are compatible with Snap-Tight and Screw-Down rafter bars and are designed to fit snuggly with the Sunwood Spider and Sunwood Cresting and Finials. Any lead dressing required should be done prior to fitting the Ridge and Spider. The supplied aluminium Ridge Base should first be screwed onto the existing timber ridge. The Cresting Channel, which runs along the top of the Ridge Top, should be trimmed back from front to allow for the Finial to be fitted and at the back for the lead dressing. The legs that hang inside the Ridge Top to secure it to the Ridge Base should be trimmed back to allow fitting of the aluminium case Spider. 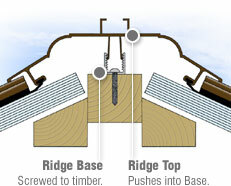 Once the Spider is fitted the Ridge Top can pushed down into position. Related links to "Sunwood Conservatory Ridge"
Customer review for "Sunwood Conservatory Ridge"